THE lawyer of Nnamdi Kanu, the leader of the Indigenous People of Biafra, IPOB, Bar. 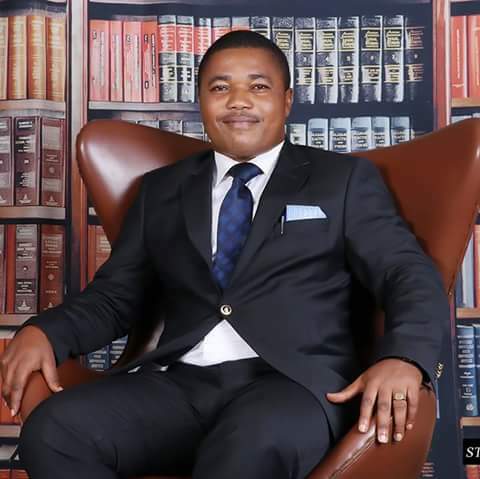 Ifeanyi Ejiofor, has said that Nigeria has expired and nothing will make Nnamdi Kanu go into politics. He made this known in an interview with ‘Wazobia Fm’ saying that ”Nnamdi Kanu is Biafra and Biafra is Nnamdi.” His words: “Let me make this clear now, nothing will make Nnamdi kanu to go into politics, Nnamdi Kanu is Biafra and Biafra is Nnamdi Kanu. “The thing he believes in nobody will change it, he said it to me, he is my friend. Secondly, court demanded that he should come with one senator from his place, and you know that Kanu is loved by everybody, even if the court demands 100 senators for his bail, you will see people from his side struggling to sign for him. “Enyinnaya Abaribe agreed to sign for his bail and you know it is a matter of life and freedom, he signed for him. “ Enyinnaya Abaribe’s signatory to Kanu’s bail does not mean that Kanu has a political affiliation attached to it.” Nnamdi Kanu and other co-defendants in court Explaining the unplanned meeting of Nnamdi Kanu and Sen. Ike Ekweremmadu’s allegation against the Economic and Financial Crimes Commission, EFCC, coming after him, Bar. Ejiofor said: “Now that Kanu is out, he saw the importance of going to thank Abaribe for his assistance in fulfilling his bail conditions. So, as he went there he met Sen. Ekweremadu and other South East senators that came to Abaribe’s house. “As we left, Sen. Ekweremmadu raised an alarm, because Nnamdi Kanu came to the house and met him, EFCC are finding a way to punish him, probably insinuating that he is assisting Kanu, thus attaching politics to what Kanu is doing. The truth is that since he was arrested, detained, granted bail and FG refused to obey court order, the British government has been sending a delegation to the court and equally going to the prison to see him. “Any time we go to the court they come from their embassy to the court and follow the proceedings. Even when tear gas was released in his prison, I wrote to them, FG and many other people, they just took records of what is happening,”he said. On the ownership of Radio Biafra Ejiofor, said “Radio Biafra in London is owned by IPOB, registered just like we have BBC in London and Kanu coming to Nigeria is just to tell you that he had nothing against anybody, he did not plan any evil against the Federal Government yet they arrested him. “I want to come to Nigeria and see my family, friends and my people. Anyone who is planning a coup will he announce it? Someone who wants to take over government, will he announce it? Someone who wants to mobilise people to take over government will he announce it? “He announced it on air via Radio Biafra that he wants to go home and see his people in Nigeria and his family members. After announcing it, he came back and they arrested him.” On comments that the government had made Nnamdi Kanu a hero, he said: “It’s true and that is the more reason now that Kanu is strongly saying that Federal government should conduct a referendum.